Held to the highest standards of craftsmanship, our solid American hardwood Carlson Conference Table is a strong, heirloom quality piece of furniture. 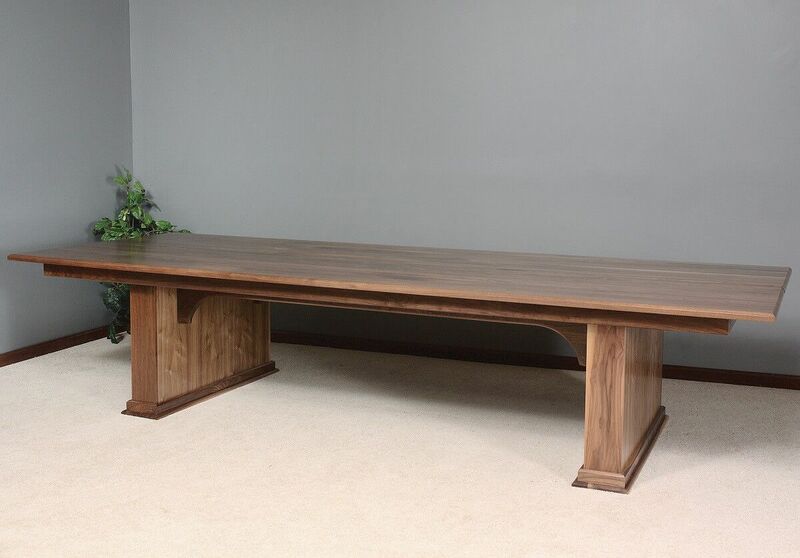 Perfect for an office environment or boardroom and massive in size, our Amish handcrafted Carlson Conference Table is designed for beauty as well as functionality. The 12’ table should comfortably seat 12-14 people with two pedestals supporting the solid 1 1/4" top, offering a dependable work surface for many years to come. Choose from our selection of responsibly harvested hardwood, free from any flawed man-made components or cheap construction. We have a wide range of stain selections to choose from as well, with free stain samples available before or after the purchase. Allow Countryside to deliver a wood conference table that will serve as a distinctive foundation for your meetings for many years to come.